Look Out Lips, Look Out Gums: The Soundtrack Is Here! 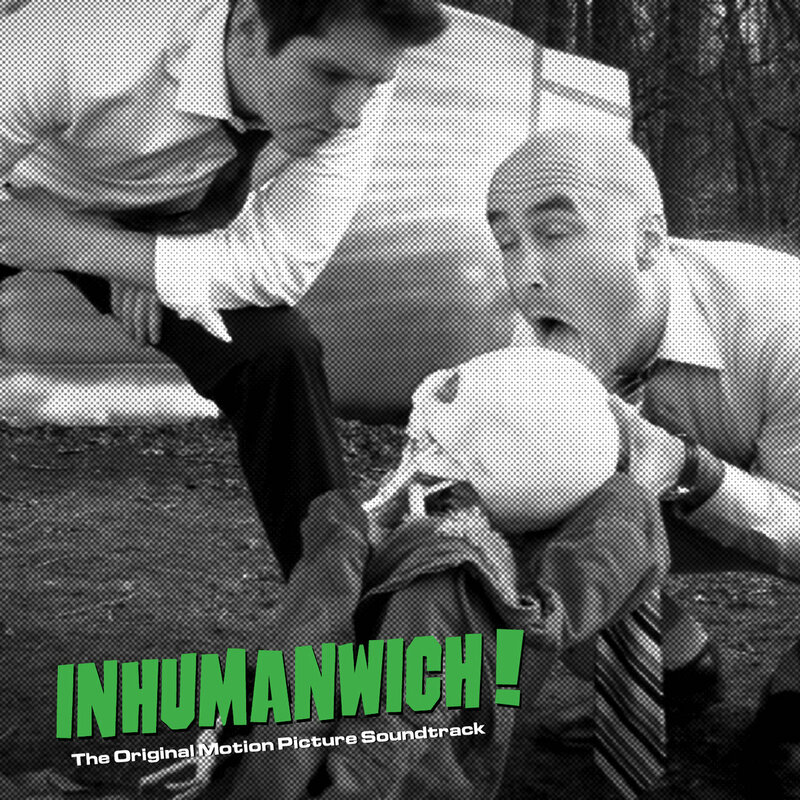 – Inhumanwich! At long, long last, it can be told: the soundtrack album to our dumb little movie will be released this Friday! The project has been long in the making and fairly secret – keen eyes reading the closing credits would have caught the line “soundtrack available on Phratry Records.” As we weren’t sure how long this would take to put together, that one blurb buried at the end of the film was the only thing we’ve ever said about it… until now! Meat Is Murder! (And Other Noises From The Original Motion Picture Soundtrack) is a limited edition 7″ vinyl single for the movie’s theme song, with “Mitch’s Song” as the B side, and with exclusive tracks not available on the album. The record comes with special gatefold packaging and a download code for the complete digital album. In a moment of pure, shameless synergy, the fine folks at Phratry decided the best time to release both the album and the single is March 29, at the world premiere of the new Argo One feature, titled, naturally enough, Phratry. Tickets to the premiere are available here. Those of you who can’t make it will be able to order both releases online starting Friday. Check back here then for the full purchase info! ← Dumpster Drive-In Reviews Us!